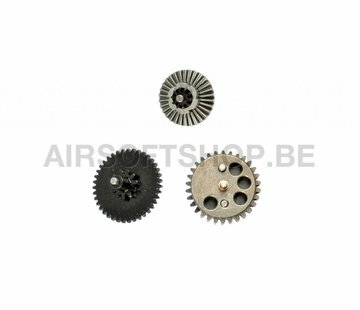 ArmaTech 100:200 Smooth Gear Set. 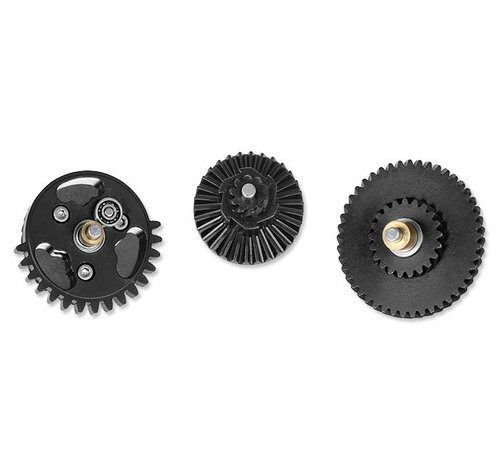 A set of reinforced, ball bearing Smooth Gear Low Noise High Torque 100:200 steel gears. 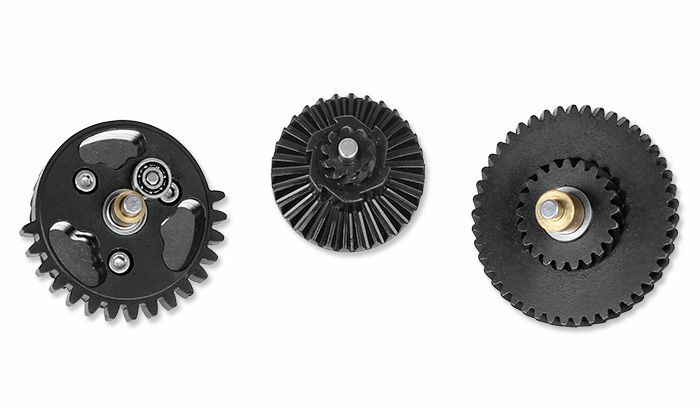 Suitable for most V.2, V.3 gearboxes.